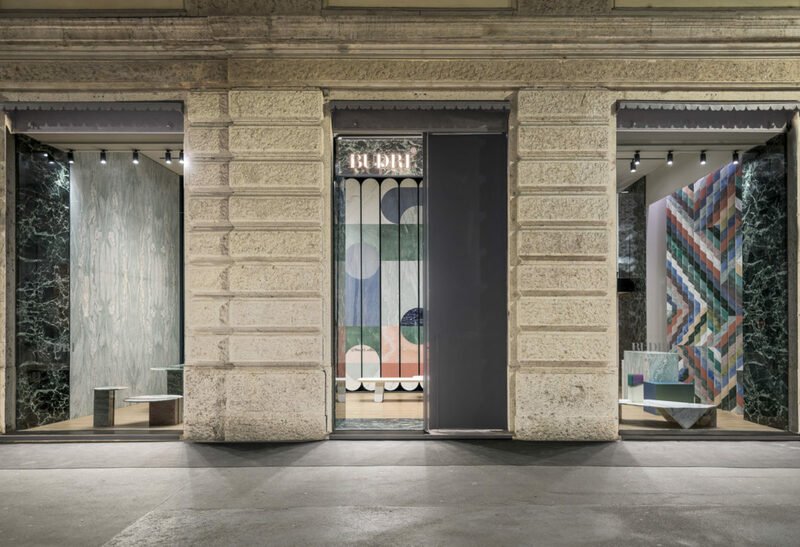 In Milan, Budri opens a space designed by Patricia Urquiola as an atelier of fine workmanship, representing the versatile, long-term vision of the company specialized in the crafting of marble, semi-precious stones and artistic inlays. 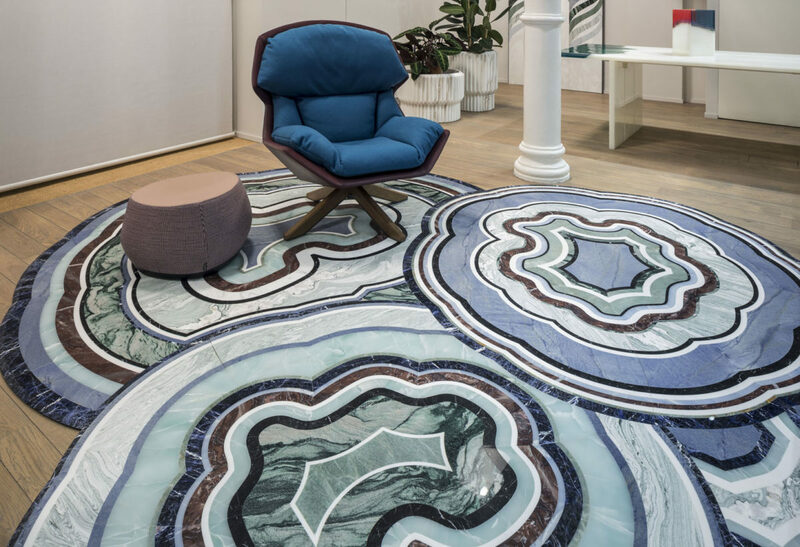 Located at Foro Buonaparte 60, the new showroom with an area of 350 m2 on three levels narrates a story that begins with the raw material, which is transformed through various creative languages into rigorously tailor-made interpretations of surprising flexibility and personality. Budri’s production, ranging from the classic to the contemporary, includes surfaces, furnishing complements and the Budri Eyewear collection. The ground floor displays the collections of surfaces and complements, enhanced by an elegant lounge zone that faces the Liberty-style courtyard of the prestigious building. 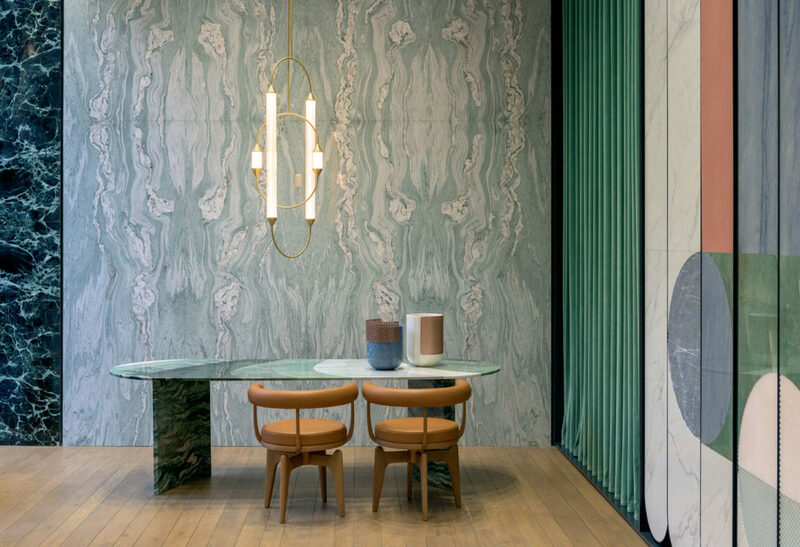 The semi-basement is set aside for the more classic surfaces and the ‘marble library’ that features many varieties of marble and onyx for the production of sartorial projects of all types, for all needs. The intermediate level is for consulting services. The design of the space has been assigned to the studio of Patricia Urquiola, connected to Budri by a long, intense collaboration; she has brought out the architectural virtues of the historic context with a refined project of interior design, simultaneously refined and functional. “The intention was to create a space that would bring out the beauty and precious value of the surfaces and complements by Budri, a place where the contemporary collections and the most classic collections could coexist in perfect harmony. 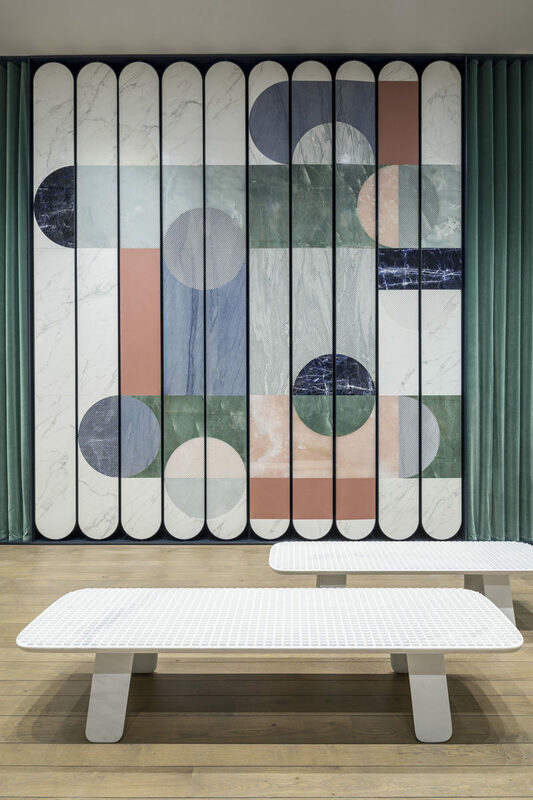 This is why we have decided to imagine the entrance like a stage of a theater, with two elegant velvet curtains that open to reveal the scene, featuring wings made with marble and onyx to enhance the furnishings, which are the actors,” says Patricia Urquiola.